Tom yam is the one soup I can drink without getting bored of the flavour. I crave it all the time, especially when I’m moody. 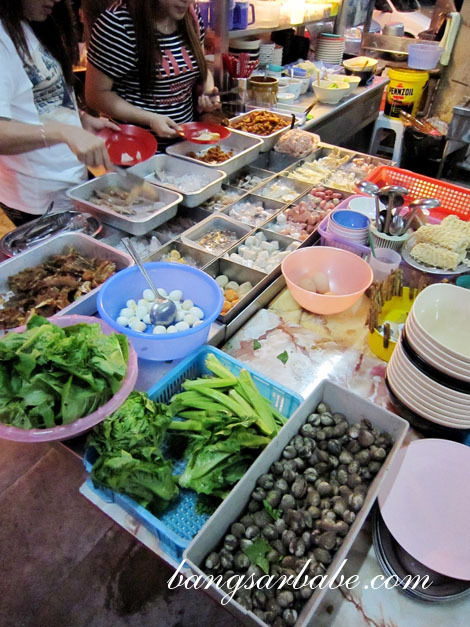 Knowing how much I enjoy tom yam – Thai, Malay and Chinese style – rif took me to this tom yam supper place in Bukit Mertajam called Heng Heng Tom Yam Mee. It wasn’t easy for us to find the shop, but his decent sense of direction and rough GPS estimates got us there after two initial wrong locations. The place was called Kedai Kopi Tien Heng Heng and it was crowded that night. Almost everyone was there to eat tom yam noodles. Queuing up to take your preferred ingredients at the counter was like “the survival of the fittest.” The most aggressive men (in this case, girls) won. If I didn’t fight for the food thong, I wasn’t going to get to pick any items. Unless I used my hands. Good thing I can be extremely aggressive when prodded, so I got the items I wanted. May the best girl win! 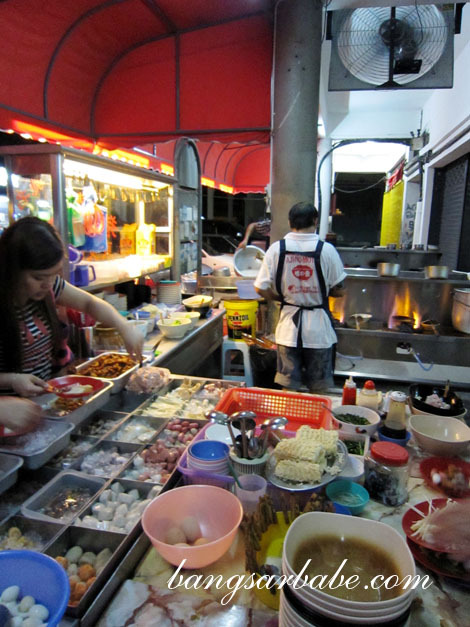 I handed my bowl of ingredients to the cook and specified the type of noodles I wanted – mee, bee hoon or maggi noodles. I choose maggi noodles, took my a wooden peg with my bowl number labeled and waited at my table. 10 minutes later, my noodles (about RM7) arrived piping hot with a layer of burnt orange oil. Tasty...right down to the last slurp! 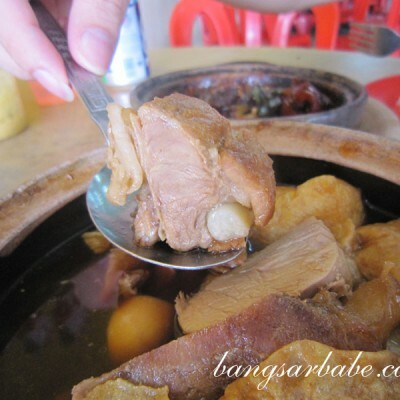 Each spoonful of soup was fiery hot, thick and fragrant from the lemongrass. The soup started off sweet, progressed to the salty-spicy flavour and ended on a tangy note. You don’t feel the spiciness at first, but when it creeps up, you’re sure to order another drink. It was spicy to the point I turned red and started sweating, but I enjoyed this mildly sadistic experience. The ingredients and noodles were nothing to shout about, but they went well with the spicy broth. 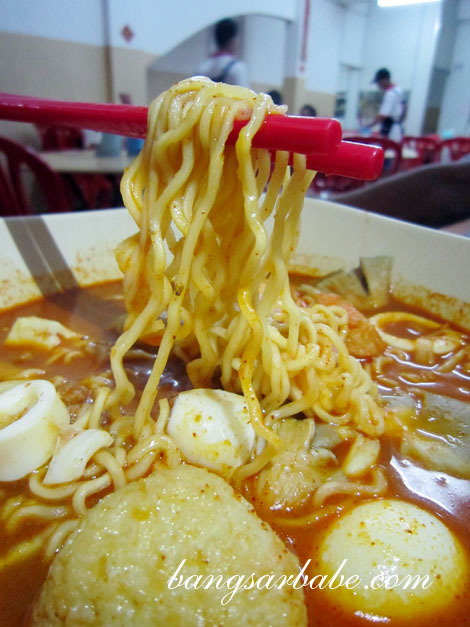 By the time I was done with my noodles, I overwhelmed yet delighted by the spicy-sweet-tangy-savoury layers of the tom yam. My poor stomach paid the price the next morning but that doesn’t mean I’m not looking forward to my next visit! 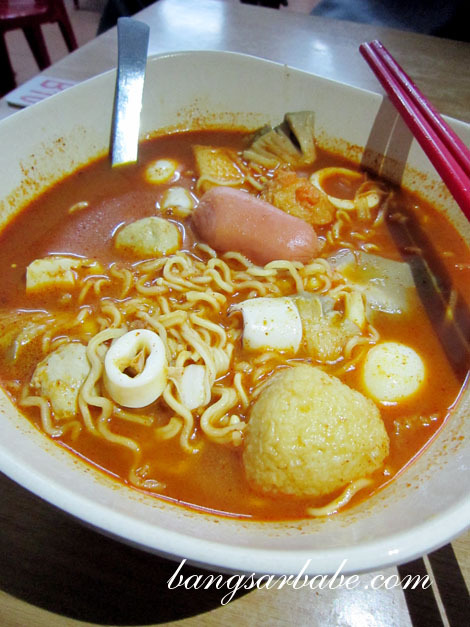 Verdict: If you’re a spicy food eater/tom yam lover like me, you’ll like this! omg you damn extreme la. i usually won’t go for second round when i have a stomach ache. for me I think I will flooded my bowl of noodle with lots of ingredients with such concept, haha! Yeah, it’s easy to get carried away. Good thing I had dinner earlier…otherwise, I might need two bowls to hold all the ‘liu’! We’re the opposite. I can’t live without spicy and sour. LOL! Hahahha I am with Sean ! I would load my bowl with loads of cockles too.. and mushrooms.. I love them with tom yum! Lol… Maggie mee cepat dimasak sedap dimakan.. Yes, round up your friends and head up north! Can I ask wat is the working hour ?